I sort of intended this for Halloween, but got carried away with other stuff. . This is a composite with many layers of painting and additions-Topaz and Photoshop being my main tools. What a gorgeous composite, Cindy. As you note, it would have been great for Halloween, but it can stand on its own anytime. The textures you used on the background sky are wonderful. 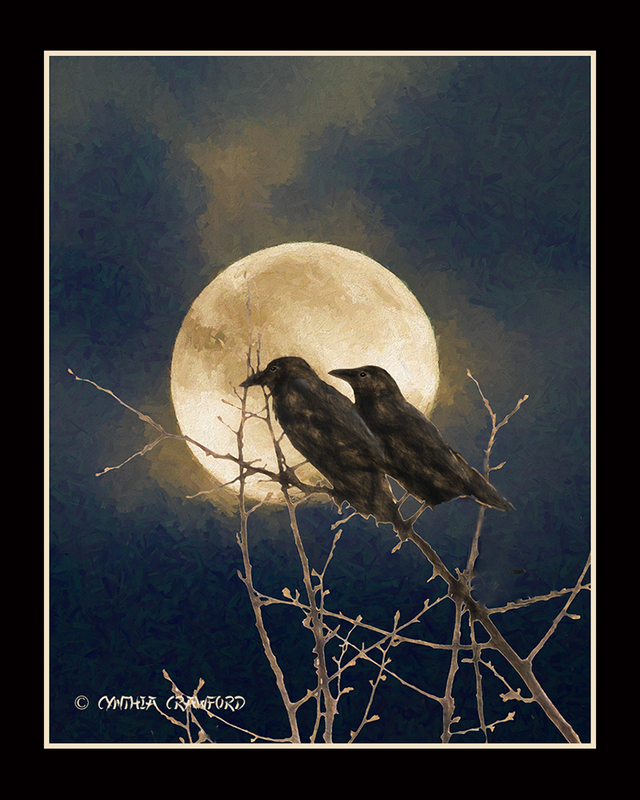 And the ravens against the full moon are striking. The frame is the perfect finishing touch. Such an artistic creation! Thanks so much, Ron. I had fun with this one. Really can't add much more Cindy, other than a beaut to view. Gels very nicely. Perfect composite of content and colours for the current season, Cindy. A classic for anything from Halloween, to Act 1, Scene 1 - The witches scene, from Macbeth! A beauty. Congratulations on the EP, Cindy!! !